PHILADELPHIA—Day after day, Financial Issues Stewardship Ministries (FISM) reaches millions of people who want to know more about how they can honor God with their finances and ensure their investments please Him. 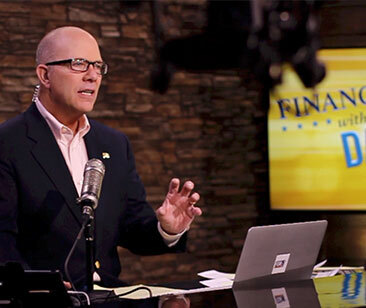 Now, Financial Issues and nationally syndicated host and biblical stewardship authority Dan Celia will impact even more for the Kingdom of God through their new, state-of-the-art studios based in eastern Pennsylvania. Over many months, the Financial Issuesteam worked to perfect the new studio with advanced equipment. The new studio project added 3,200 square feet to the existing space, as well as state-of-the-art equipment, upgrades to the sets and control room, along with interior construction, heating, air conditioning, plumbing and new lighting. The “Financial Issues” program airs on 650 stations in every state in the nation and is heard globally online, with supporters from over 17 countries. Celia is a regular featured columnist for Townhall.com and has been a guest on Fox Business, Bloomberg, Salem Radio, FamilyNet, “The 700 Club” and many other top programs. He is a conference speaker, author of six books, publishes a weekly newsletter and has been the executive producer of several video productions. A soon-to-be-announced initiative, FISM-TV, is also producing original family-friendly content and other video projects, all keeping within FISM’s Christian worldview. To interview Dan Celia of Financial Issues Stewardship Ministries, contact Media@HamiltonStrategies.com, Patrick Benner, 610.584.1096, ext. 104, or ext. 100.